Slyce, a Calgary, Alberta, Canada-based provider of a visual search platform, closed a convertible debenture raise of $2.2m. The raise, which followed a $3.75M seed round raised earlier in the year, will automatically convert into the Slyce A round, to open in early November, 2013. The company intends to use these new funds to finalize their consumer-focused platform and further pursue B2B opportunities, supplying the technology to brands and retailers. 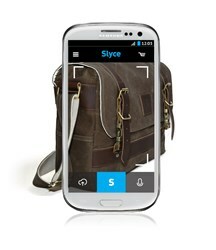 Led by Cameron Chell, CEO, Slyce has developed a platform that enables consumers to buy any item they see in the real world, by taking a picture of it with their smartphone. Release of the app for Android & iPhone is expected January 2014. The company also announced the appointment of key mobile commerce tech specialist, Mark Elfenbein to their team, in the position of Chief Digital Officer.